Richard E. Broome, a former member of the White House crisis management team, will discuss “Managing Risk in the New Operating Reality” on Wednesday, Nov. 28, at 4:10 p.m. in the Procrastinator Theater on the Montana State University campus. The lecture is part of the MSU College of Business’s David Orser Executive Speakers Forum. Broome is a business consultant in the public and private sector with more than 40 years of experience in the design, development and management of computer information systems. He has served on the National Security Council staff as a member of the White House crisis management team for two U.S. presidents. His responsibilities included leading decision support systems in the White House Situation Room, which provides presidents with information required to respond to rapidly changing international events. 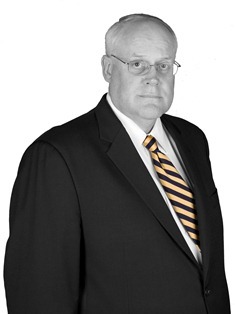 As a business consultant with expertise in risk assessment and crisis management, Broome held positions at the National Association of Securities Dealers, a parent firm of the NASDAQ stock market, Computer Sciences Corporation and Booz Allen Hamilton. Among other accomplishments, Broome helped develop business recovery plans for a regional stock exchange that were used after Sept. 11. More recently, he designed a series of business war games to examine the preparedness of the nation’s financial services sector against potential risks challenging the sector. The activities examined both potential global business impacts as well as recommended mitigation strategies. Prior to his business career, Broome served in the U.S. Army. He has a bachelor’s degree in psychology from Utah State University, a master’s degree in systems management from the University of Southern California, and a master’s degree in information systems from the Naval Postgraduate School. The MSU College of Business’s David Orser Executive Speakers Forum is named for David B. Orser, a 1966 MSU graduate who started funding the program in 1988 in order to inspire MSU business students to pursue careers as innovative, responsible and ethical business leaders. For more information about the forum, contact Audrey Lee at 406-994-7026 or audrey.lee@montana.edu.